Allergies such as peanut allergy and hay fever make millions of us miserable, but scientists aren’t even sure why they exist. One master immunologist is offering up a controversial answer. But first, some personal context: for me, it was hornets. I lived to tell the tale: my hives subsided at the hospital, leaving behind a lingering fear of hornets. But an allergy test confirmed that I was sensitive to the insects. Not to honey bees or wasps or yellow jackets. Just the particular type of hornet that had stung me. The emergency room doctor said I might not be so fortunate the next time I encountered a nest of them. She handed me an EpiPen and told me to ram the syringe into my thigh if I was stung again. The epinephrine would raise my blood pressure, open my airway – and perhaps save my life. I’ve been lucky: that afternoon was 35 years ago, and I haven’t encountered a hornet’s nest since. I lost track of that EpiPen years ago. Anyone with an allergy has their origin story, a tale of how they discovered that their immune system goes haywire when some arbitrarily particular molecule gets into their body. There are hundreds of millions of these stories. In the USA alone, an estimated 18 million people suffer from hay fever, and food allergies affect millions of American children. The prevalence of allergies in many other countries is rising. The list of allergens includes – but is not limited to – latex, gold, pollen (ragweed, cockleweed and pigweed are especially bad), penicillin, insect venom, peanuts, papayas, jellyfish stings, perfume, eggs, the faeces of house mites, pecans, salmon, beef and nickel. Once these substances trigger an allergy, the symptoms can run the gamut from annoying to deadly. Hives appear, lips swell. 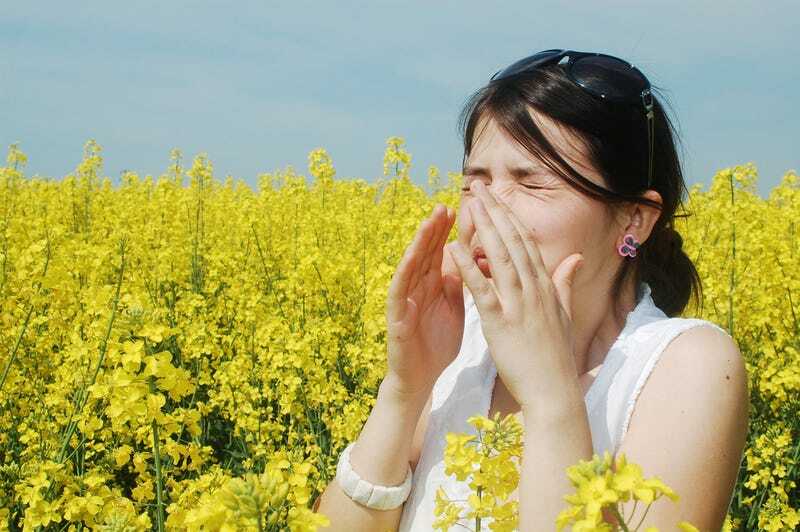 Hay fever brings sniffles and stinging eyes; allergies to food can cause vomiting and diarrhoea. For an unlucky minority, allergies can trigger a potentially fatal whole-body reaction known as anaphylactic shock. Medzhitov’s mess has been exceptionally productive. Over the past 20 years, he has made fundamental discoveries about the immune system, for which he has been awarded a string of major prizes. Last year he was the first recipient of the €4 million Else Kröner Fresenius Award. And though Medzhitov hasn’t won a Nobel, many of his peers think he should have: in 2011, 26 leading immunologists wrote to Natureprotesting that Medzhitov’s research had been overlooked for the prize. At the time, Janeway was arguing that antibodies have a big drawback: it takes days for the immune system to develop an effective antibody against a new invader. He speculated that the immune system might have another line of defence that could offer faster protection. Perhaps the immune system could use a pattern-recognition system to detect bacteria and viruses quickly, allowing it to immediately launch a response. With help from Sant’Angelo and other members of the lab, Medzhitov learned very quickly. Soon he and Janeway discovered a new class of sensor on the surface of a certain kind of immune cell. Confronted with an invader, the sensors would clasp onto the intruder and trigger a chemical alarm that promoted other immune cells to search the area for pathogens to kill. It was a fast, accurate way to sense and remove bacterial invaders. Medzhitov and Janeway’s discovery of the sensors, now known as toll-like receptors, revealed a new dimension to our immune defences, and has been hailed as a fundamental principle of immunology. It also helped solve a medical mystery. Medzhitov isn’t driven to do science to cure people; he’s more interested in basic questions about the immune system. But he argues that cures won’t be found if researchers have the wrong answers for basic questions. Only now that scientists have a clear understanding of the biology underlying sepsis can they develop treatments that target the real cause of the condition – the over-reaction of the toll-like receptors. (Tests are ongoing, and the results so far are promising). “Thirty years ago, it was, ‘Whatever causes septic shock is bad.’ Well, now we know it’s not,” said Medzhitov. This article by Carl Zimmer originally appeared on Mosaic Science. It has been republished with permission.